Do you love saving your family's recipes? Gimme Some Sugar was made just for you! 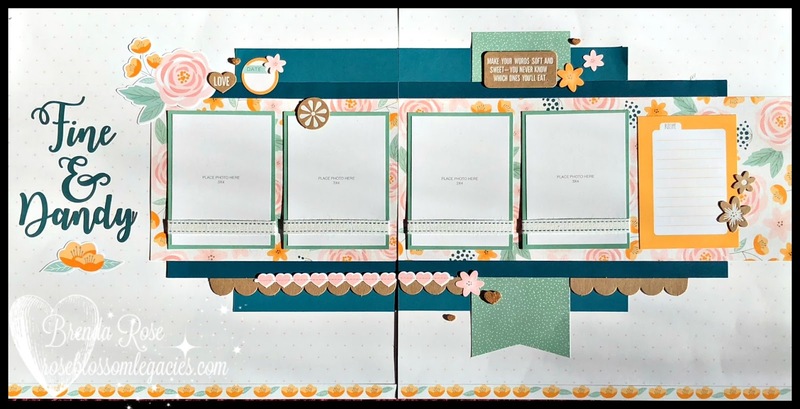 I will have a few different workshops for this paper packet, so I'll start now by showing you the scrapbook kit. 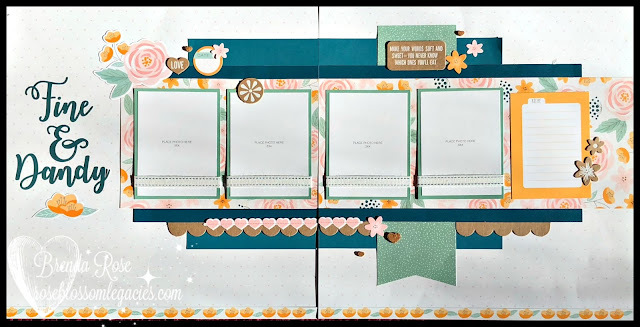 The first is a layout that will highlight a favorite recipe. As scrapbookers, we love to take photos of our food, and it only makes sense that we create a layout for those precious memories. The second layout can be used for any occasion! I love the rich peacock color mixed with light pink and tangerine. This layout feels very fresh and fun!